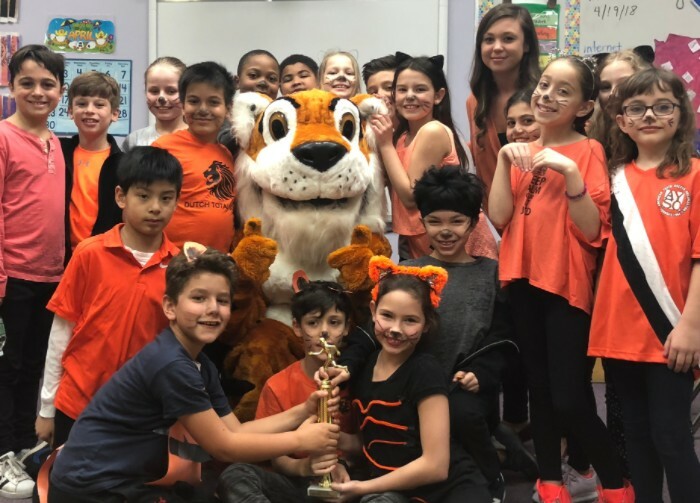 Dressed in stripes, orange, and big cat costumes, Lower and Middle School students and faculty celebrated "Dress Like Ty Day" on Thursday, April 19. 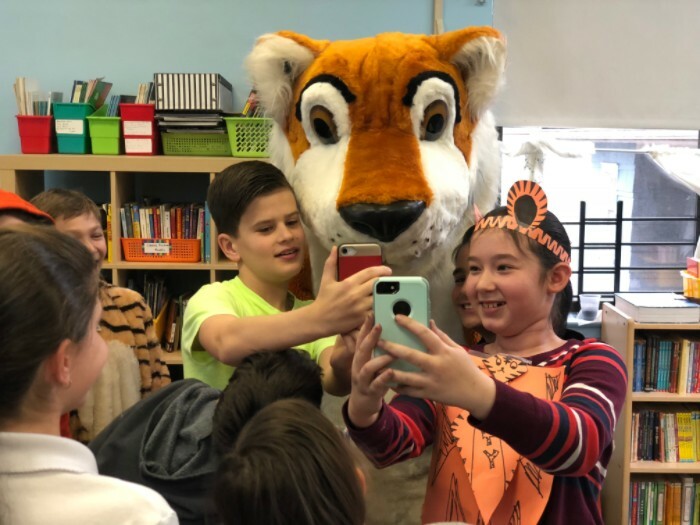 Ty the Tiger, the school mascot of Bay Ridge Prep, even made a surprise visit to classrooms and offices! 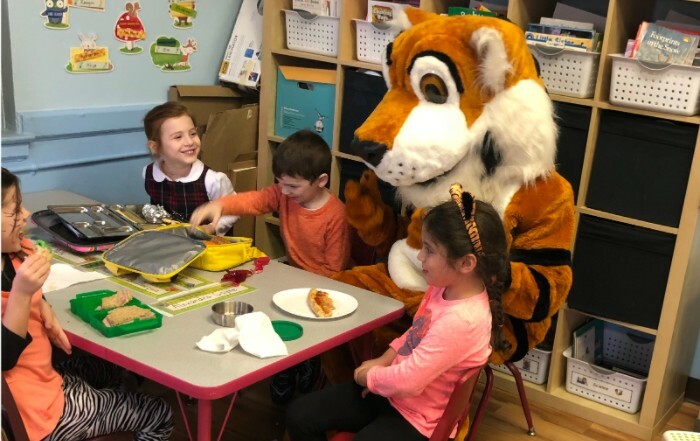 The fun was all part of Tiger Trot Spirit Week at the 81st Street Building. During the course of the week, students decorated classroom doors, made class posters for the upcoming Tiger Trot (where they’ll have a chance to meet Ty again!) and created cheers to motivate runners and walkers at this year’s Trot. The Spirit Week cheers will debut during Town Hall on April 20. Over the past few days, dozens of families added their names to the Trot’s sponsor list. The Tiger Trot will continue to raise funds for the school up through the day of the fun run: Monday, May 7. A big thank you to all of the event sponsors!